Samsung is still betting on new proposals for its Galaxy A line , a replacement for the classic Galaxy J lineup that has accompanied us for so many years. Following the latest design patterns, large batteries and a good number of cameras are now the advantages of its most economical line – the A Series. 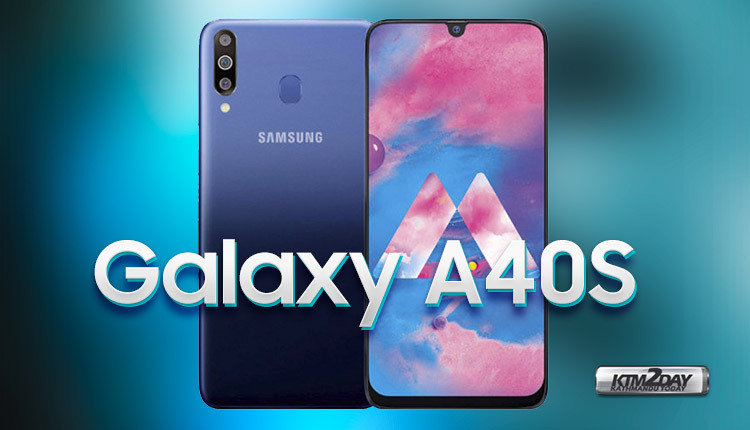 Samsung Galaxy A40S is already official, a device that will come at affordable price , and with more than worthy specifications . The Samsung Galaxy A40S comes with a 6.4-inch panel with FullHD resolution, embracing Super AMOLED technology. The notch has the shape of a drop of water , being less intrusive than other solutions. Within it, we find a 16 megapixel camera that will perform the functions of selfie and facial recognition. When talking about it’s performance power, the device comes with Exynos 7904, accompanied by a quite generous 6 GB of RAM , and an internal storage of 64 GB. The battery is the main pillar of this handset, which bets on the 5,000 mAh battery along with a fast charge of 15W. If we turn the device, at the rear we find a triple camera configuration consisting of a main sensor of 13 megapixels, a second sensor of 5 megapixels and a third sensor with another 5 megapixels. Out of the the two one would serve as a wide angle lens, while the other for the portrait or zoom functions. In the connectivity section it is allocated with 4G and WiFi 5, USB Type C, and comes hand in hand with Android 9.0 Pie operating system personalized with One UI . The Samsung Galaxy A40S will cost CNY 1,499 ($300/NRs.25,000). There is no word on the official release date for the A40s.